The left colic artery is one of the major branches of the IMA. Ascending branch connects/anastomoses with the middle colic artery. Descending branch connects/anastomoses with the superior sigmoid artery. 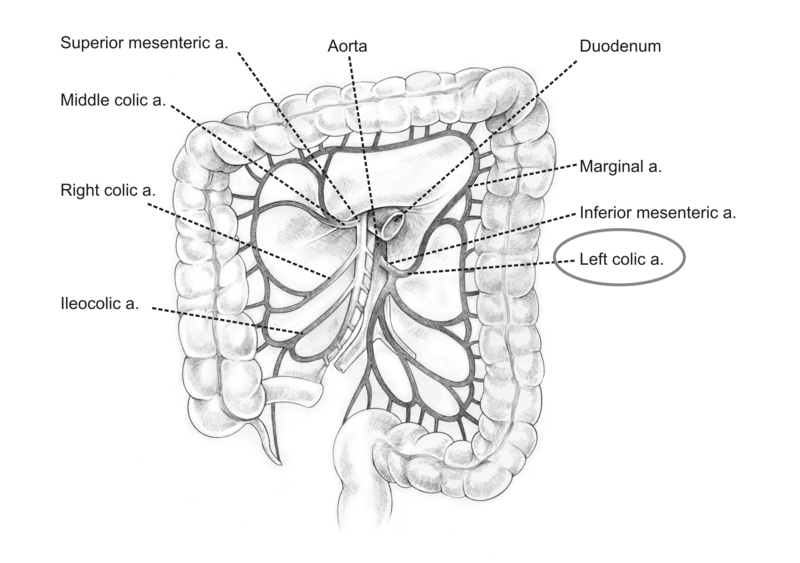 This artery perfuses the descending colon. This artery runs just in front of the posts major muscle.